The Gamer’s Edition of the Guinness Book of World Records named Deadly Premonition the “Most Critically Polarizing Survival Horror Game.” It isn’t very hard to see why. Hidetaka “SWERY65” Suehiro’s bizarre adventure, with influences ranging from Twin Peaks to ’80s pop culture, was first released three years ago on the Xbox 360 by Ignition Entertainment. With a $20 price point on its side, it quickly became a cult favorite that swept under the radar and received an equal amount of awards and jeers from the gaming press. Now, with Rising Star’s updated rerelease on the PS3, this reviewer is finally able to experience this madness for himself. And boy, what an experience it is. Deadly Premonition is certainly not a title for the average gamer, and is most definitely last-gen from a technical standpoint even in its updated Director’s Cut form. However, if you’re like me and can look past this, there is a lot to like in almost every department. Also, be prepared to see many scenes of York smoking his usual cigarette. Before I delve deep into Deadly Premonition‘s great mix of quirks, let me start off with yet another word of warning: if you pick your games based exclusively on how beautiful those graphics are, you will not enjoy this game. 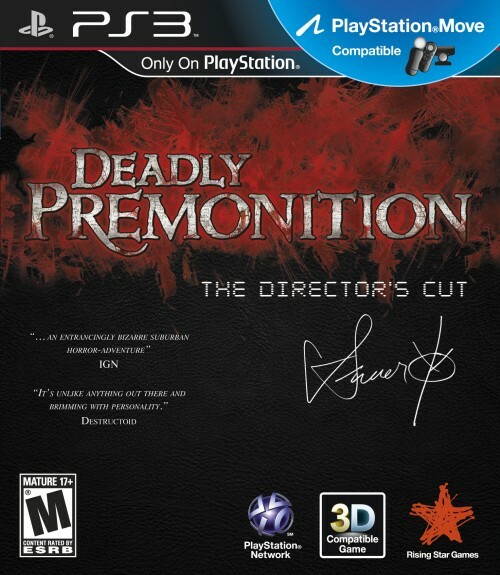 Deadly Premonition has been in development since the PS2 era, and the primitive graphics certainly show this. But from what I can tell after watching some videos of the Xbox 360 version, they’ve definitely improved somewhat in the Director’s Cut, especially with regard to the character models and indoor environments, as well as the removal of a video filter that rendered everything in a rather dirty manner . However, there’s a pretty significant dip in framerate to compensate, most notably in the first few chapters, as well as in areas that have a lot to render. Still, even with the basic texture resolutions and low polygon count, the visual aesthetics are quite good for a budget game. In fact, the low-res graphics both add to the charming B-movie vibe and force gamers to fill in the blanks and focus on the intricacies found throughout Greenvale. I’m serious. Even this supposedly serious scene has that chirpy background music. 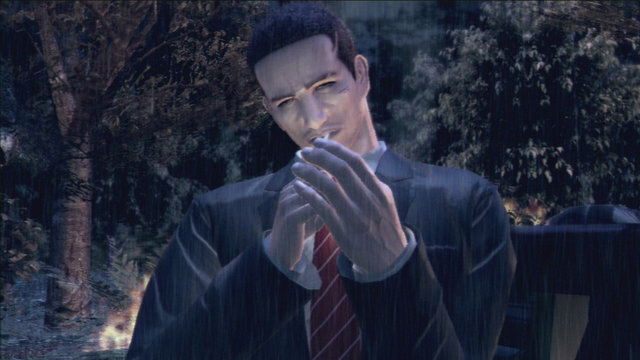 In Deadly Premonition, you play as FBI Special Agent Francis York Morgan. But please, just call him York. His reasoning? It’s what everyone else calls him. He has an alter ego (?) named Zach, with whom he shares a rather uncanny interest in violent crimes against women. So, what better place to look than in the rather quaint small town of Greenvale? Little do we know, however, that this unassuming town has just been hit with a rather bizarre murder: a teenager by the name of Anna Graham was found crucified to a tree, her body surrounded by red seeds. York is intrigued by this series of murders, and opens up an investigation in the town. He meets George Woodman, the somewhat hostile sheriff, and Emily Wyatt, the deputy who also serves as a love interest. And with that, the game starts going into high gear. The game has an episodic format, similar to a TV show, split up into six different episodes, as well as a prologue and epilogue. And these segments offer up a rather original mix of daily open-world interaction (think Grand Theft Auto, minus the carjacking) and third-person survival horror action (think Resident Evil 4). 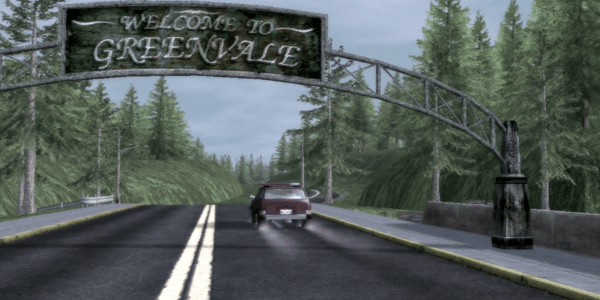 For a small town, Greenvale is actually pretty big, and the game’s open world runs on an abbreviated real time scheme. One minute is 20 seconds, so an entire day in Greenvale is 8 hours of real time. You can make time go faster by sleeping or smoking cigarettes. (Hey, just like in real life!) 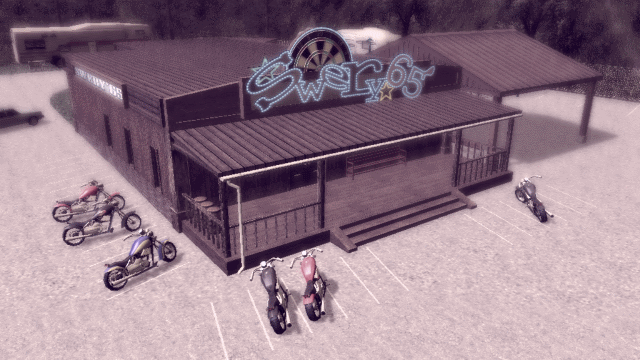 And that’s far from the only detail that SWERY65 has put in Deadly Premonition‘s open world. Far, far from it. Once you get to Greenvale and go through the main story, you do have to keep within time on certain events through the chapters, and NPCs operate on very strict schedules. While, in most open-world games, a strict timeframe limits the experience, this really isn’t the case here; the aforementioned 8-hour day gives you tons of time to kill. And just as well, as there’s actually a fair amount of stuff to do in Greenvale that doesn’t involve smoking or sleeping. For instance, if you’re just walking around town, there are 65 trading cards to collect in all, some of which are lying around. Others can be found through completing side quests, of which there are many in this game. 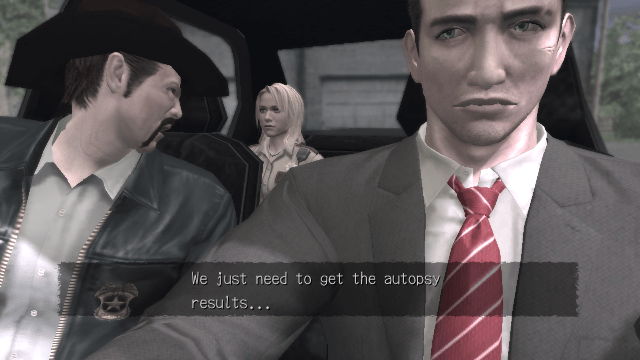 They are by no means required to enjoy the experience, but several items that can help you a lot in Deadly Premonition, such as the radio and certain suits York can wear, can only be acquired through them. A minor nitpick, though: you can only do one side quest per chapter, which can put a damper on trophy hunters. Lucky for them, you have the option of replaying any chapter you’ve completed, so if you really want to get something you’re missing, go right ahead.